Modern homeowners in this community demand the most advanced technology to improve their home's efficiency and security. Start improving your home’s energy efficiency and functionality with our innovative home automation systems in Tampa, FL. Titan Home Technologies is the primary source for home automation and innovation. Our specialists are ready to help you find the right system that improves your safety and your peace of mind. If you're looking for additional ways to make your home life more efficient, we have the solution. We also offer custom home theaters and media rooms to give you the ultimate movie-watching experience. You've probably heard the term "home automation" before, but you've never given it a second thought. Many homeowners believe that these high-tech systems are too expensive or are unnecessary luxuries. Imagine controlling your lights, security system, thermostat, and other aspects of your home all from your smartphone. You can do this with one of our home automation designs, which we offer at reasonable prices. You shouldn't have to break the bank on a home automation installation. We'll help you improve your home's security, safety, and efficiency at a price you can afford. When you turn to our home automation company, there's no need to worry about hidden charges and unexpected fees. Our company is a leader in this market, and we understand the industry as well as anybody. Whether you're looking to reduce your energy costs or you need an effective way to improve your home's efficiency and comfort, we have a solution. Our experienced technicians are also prepared for surround sound installation. 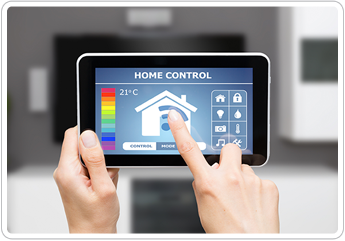 Contrary to what many believe, home automation is not a new concept. Early automation was introduced to the world with labor-saving equipment, like washing machines. Getting that technology to work more efficiently in this modern era involves smart design and innovative products from industry leaders. So, what are residential automation systems exactly? We're committed to ensuring you're satisfied with the work, as well as your system. That's why we will first assess your needs to ensure you end up with a security system that will meet those needs without breaking your budget. Call us to schedule a convenient time for system design and installation. Contact us today to learn more about our installation process for home automation systems. We proudly offer this service to customers in Tampa, Florida, and surrounding communities.